Turn it to eleven baby! 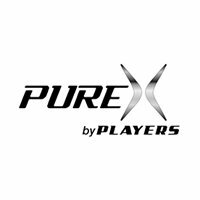 Players, one of the best known brands in billiards, has created a technology powerhouse with the HXT line of pool cues. Every HXT cue features the new PureX Low Deflection Shaft which drastically reduces cue ball deflection through a high tech, lightweight polymer core. In addition, thse cues all come with the Kamui Black Soft Tip, designed specifically to give you superior cue ball grip, spin and durability. As with all Players pool cues, the HXT series includes a Manufacturer's Lifetime Warranty against warping and defects.